Lockouts & Lost Keys | Conference Services, U.Va. 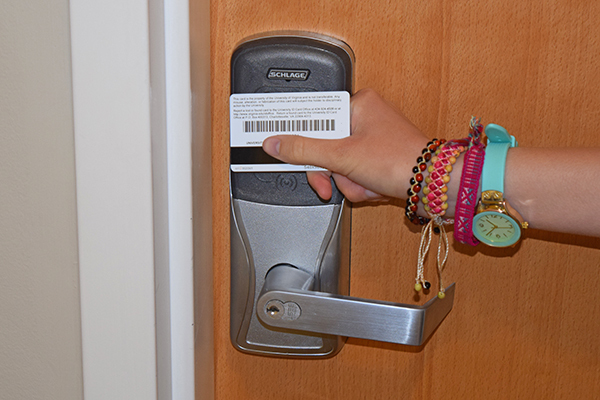 If you are a conference guest residing in on-Grounds housing during the summer and you are locked out of your room, please call us, and we will send one of our staff members to let you back into your room. Be prepared to show proper ID in order to verify that you are the guest staying in the room in question. After-Hours (8:00 p.m. – 8:00 a.m.): please call the on-call phone number printed on your key envelope. This number is also posted on the exterior door sign at your residence building. If you lose your access card and/or key, please contact us immediately at 434.924.4479. In order to maintain high security in the residence area, we will change all affected locks and give you a new set of keys. The lock change fee will be charged to the credit card that you provided as a key deposit at check-in.